Recognizing the warning signs of dementia is important for early detection. Although researchers have made progress towards a cure, there is no cure for dementia. But, that doesn’t mean that it can’t be treated, particularly when it’s caught in the early stages. In fact, treatment is a lot more effective early on, and some of the causes of cognitive decline can even be reversed if they are caught early enough. But, treatment can’t happen unless you are able to recognize that a problem exists in the first place, which can be easier said than done, since most of the changes occur little by little, over time. 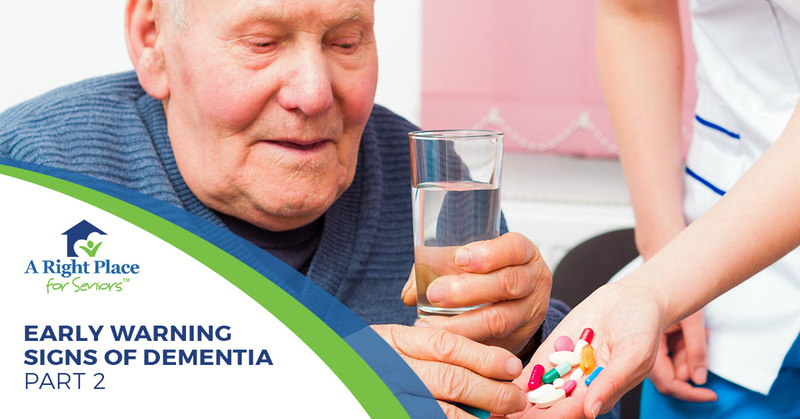 At A Right Place for Seniors, we understand how important it is for your loved one’s health and safety to get the treatment and care they need right away, and that’s why we’ve been talking about how to recognize the early warning signs of dementia in this blog series. Check out Part 1 to learn about the signs we’ve already covered, and keep reading to learn more. It’s not uncommon for people suffering from the early stages of dementia to experience a decrease in their ability to judge a situation. For example, they may stop paying as much attention to their personal hygiene or their finances. This loss of judgement is part of the reason why people with dementia sometimes fall victim to elder abuse. According to the Alzheimer’s Society, around 15 percent of people suffering from dementia — which amounts to over 112,000 people — have fallen victim to financial scams, such as cold calls and scam emails. These kinds of scams are devastating on an individual’s finances, and the AARP Foundation has found that fraudsters often target people with cognitive impairments specifically. Older people are at a higher risk for developing many vision problems, such as cataracts, but the vision problems associated with dementia typically include trouble with judging distances, difficulties reading and a hard time with determining contrast or color. For instance, someone with dementia may have trouble distinguishing different foods on a plate. In addition to the deterioration of vision, perception can also change for people suffering from dementia. For example, when they look in the mirror, they may think they are seeing someone else in the room, rather than looking at themselves. The confusion and memory loss associated with dementia can lead some people to withdraw from their social lives, as well as activities and hobbies they used to enjoy. In some cases, a withdraw from an event or activity is because they forgot about it, or they couldn’t remember how to get to wherever it’s held. In other cases, withdraw stems from embarrassment in not being able to remember things or the frustration in having trouble with following conversations. As we mentioned in a previous point, people suffering from dementia will sometimes put items in unusual places. For instance, they may put their keys in the freezer or put a milk carton into the pantry. Because of this, as well as the general short-term memory loss associated with dementia, they will often misplace items and are unable to retrace their steps to find them. In some cases, this will result in the individual blaming others of stealing from them. People suffering from dementia will often have a hard time understanding situations that aren’t happening in the present moment. It’s also common for them to lose track of the days of the week, dates or even seasons. People with dementia can also forget why they are in a specific location or get lost in places they’ve been before. Sometimes, they may even have trouble remembering where they are or how they got there. Change is never easy for anyone, but for people suffering from dementia, routine and repetition help to create a sense of safety and security, which makes change even more difficult to adapt to. Confusion and memory loss can cause fear and uncertainty, so they will cling to any amount of security they can find, and when there are changes in their routine or schedule, it only exaggerates those feelings. How do you tell the difference between signs of dementia and normal, age-related changes? Many of the early warning signs we’ve gone over are things we’ve all experienced from time to time, or that could easily be confused as a normal part of the aging process. But, while the underlying issue may be the same, it usually presents itself much more severely in people suffering from dementia. For instance, a typical age-related change may include temporarily forgetting what day it is and remembering later on, whereas someone with dementia may lose track of what season or year it is. What should you do if you notice these warnings signs? Never ignore any of the above early warning signs of dementia, or just chock them up to old age. As we mentioned, the earlier dementia is detected, the more effective treatment is, and some of the symptoms can be treated or even reversed if caught early enough. So, if you’ve started to notice any of the above signs in your loved one or even yourself, make it a point to talk with your doctor as soon as possible about your concerns. 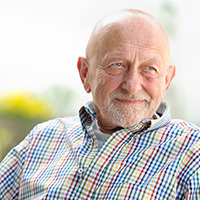 Turn to A Right Place for Seniors for help finding the right memory care option. People with dementia can all too easily find themselves in a risky situation by wandering off, forgetting to turn off the oven or even putting their trust in the wrong person, and some require consistent care and supervision to keep them out of harm’s way. But, luckily, with the right memory care facility or program, you can rest easy in knowing that your loved one is safe at all times, even when you aren’t able to physically be there with them. At A Right Place for Seniors, we specialize in providing professional senior placement services to families just like yours, and we can help you find the right memory care solution for your loved one. The best part about working with our team is that, because we have our own database of thoroughly vetted communities, facilities and programs that we work with, we can provide our senior placement services to you at no cost. You have absolutely nothing to lose with our Senior Living Consultants on your side. Contact us today to get started!